​One of the most common conditions women face without even knowing it is hypothyroidism (hyperthyroidism is also a condition seen in men, just not as commonly). If you are experiencing chronic fatigue or low energy, it's good to have your thyroid levels checked in order to evaluate your thyroid function. 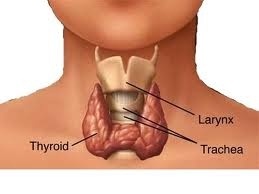 A Medical Doctor or Naturopathic Doctor can measure your TSH (thyroid stimulating hormone) and T4/T3 (thyroid hormone) levels to determine your thyroid function. ​How Can Dr. Nicole Help?